Chaitanya Mahaprabhu was a 15th century Vedic spiritual leader, who is considered an avatar of Lord Krishna by his followers. Chaitanya Mahaprabhu was a 15th century Vedic spiritual leader, who is considered an avatar of Lord Krishna by his followers. 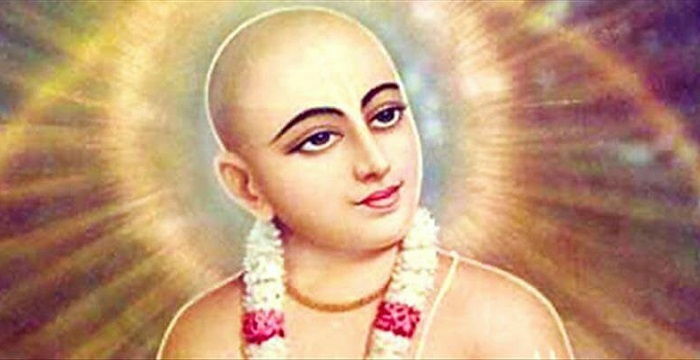 Chaitanya founded Gaudiya Vaishnavism, which is a religious movement that promotes Vaishnavism or worship of Lord Vishnu as the Supreme Soul. Gaudiya Vaishnavism teaches the acceptance of Bhakti yoga as a method to realize the ultimate truth. 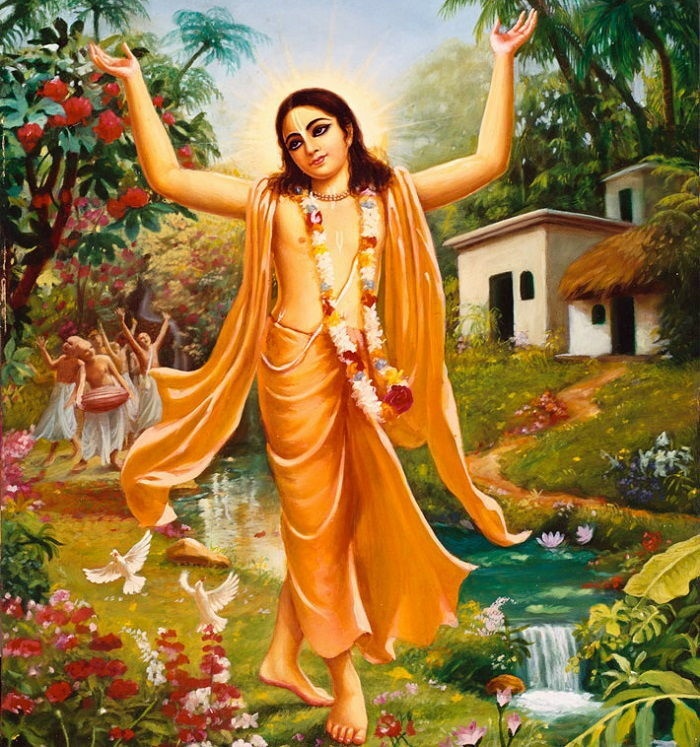 Chaitanya Mahaprabhu is credited with popularizing the ‘Maha Mantra’ or ‘Hare Krishna Mantra.’ He is also known for composing in Sanskrit a prayer of eight verses, known as ‘Siksastakam.’ Said to have been born with features similar to that of Lord Krishna, Chaitanya Mahaprabhu was a child prodigy, and became a scholar at a very young age. He even opened a school and had thousands of followers very early in his life. Though not much about his sudden and mysterious disappearance or demise is known, a few scholars and researchers believe that he might have died of epilepsy. However, this conclusion is still debatable as there are other accounts that suggest various other theories, including a theory of murder and magical disappearance. Chaitanya was born Vishvambhar on February 18, 1486. At the time of his birth, India witnessed a full lunar eclipse, which was considered auspicious by Hindu scholars. 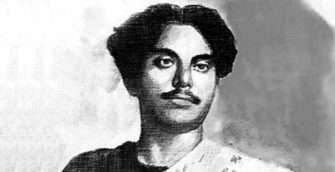 Chaitanya was the second born child of Sachi Devi and her husband Jagannath Mishra. He had an elder brother, Visvarupa, and the entire family lived in Srihatta, in present-day Sylhet, Bangladesh. Many sources state that Chaitanya was born with a fair skin and had striking similarities with the conceived image of Lord Krishna. As a young boy, Chaitanya started chanting praises of Lord Krishna and also exhibited unusually high level of intelligence. He could recite mantras and other religious hymns at a very young age, and had gradually started spreading knowledge much like a scholar. When he was 16 years old, Chaitanya started his own school, which attracted many pupils. Chaitanya’s knowledge and wisdom was so great that he once defeated a proud and learned scholar named Keshava Kashmiri in a debate. The next day Keshava Kashmiri is said to have surrendered before Chaitanya, accepting his defeat gladly. According to various sources, Keshava Kashmiri dreamt of Goddess Saraswati on the night after the debate. When Goddess Saraswati explained to him who Chaitanya actually was, Keshava Kashmiri realized the truth and accepted defeat the next morning. After the demise of his father, Jagannath Mishra, Chaitanya visited the ancient city of Gaya to perform a religious ceremony to pay homage to his deceased father. While in Gaya, he met an ascetic named Ishvara Puri, who would go on to become Chaitanya’s guru. When Chaitanya returned to his hometown, there was a significant change in his thought process. He was followed by the local Vaishnavas of Bengal and it did not take him long before heading one of the Vaishnava groups in Nadia district. Thereafter, he decided to leave Bengal and requested Keshava Bharati to bestow upon him ‘sannyasa,’ which requires one to renounce all things material and wander in search of the ultimate truth. While ascetics (sanyasi) follow various methods to attain salvation, Chaitanya’s key to unlock the ultimate truth was Bhakti yoga, which is one’s loving devotion towards the ‘Supreme Being.’ By chanting Lord Krishna’s name relentlessly, Chaitanya not only practiced Bhakti yoga, but also taught his followers the proper method of pursuing Bhakti yoga. For many years, Chaitanya travelled the length and breadth of India, advocating Bhakti yoga. Chanting the name of Krishna, Chaitanya would travel on foot to various places in a state of absolute bliss or ecstasy. In 1515, Chaitanya visited Vrindavan, believed to be the birth place of Lord Krishna. The main objective of Chaitanya’s visit was later said to be ‘reinvention,’ as Chaitanya wanted to identify important places associated with Lord Krishna, in Vrindavan. It is said that Chaitanya was successful in locating all the important places, including the seven temples (sapta devalay), which are visited by Vaishnavas even today. After traveling for years, Chaitanya settled down in Puri, Odisha, where he stayed for the final 24 years of his life. Chaitanya was revered as Krishna himself not just by his ardent devotees and followers, but also by several rulers of the 16th century. Prataprudra Dev, a Gajapati ruler, became one of his most enthusiastic patrons and a devotee of his ‘sankeertan’ gatherings. ‘Siksastakam,’ a 16th century prayer of eight verses, is the only written record of Chaitanya Mahaprabhu’s teachings. The teachings and philosophy of Gaudiya Vaishnavism are based on this Sanskrit text. Chaitanya Mahaprabhu’s teachings are divided into 10 points and are centered on the glorification of Lord Krishna. Below mentioned are the 10 teachings of Chaitanya Mahaprabhu. Krishna possesses all energies – Like the first point, this too glorifies Lord Krishna. According to this philosophy, Lord Krishna is endowed with all the required energies to run the universe. Lord Krishna is the source of everything – This states that Lord Krishna is the one who ultimately enjoys all the spiritual joy and emotions. It also states that Krishna enjoys the ultimate rasa, which refers to the creation of a distinct flavor. Atman (soul) is a part of the Lord – This is the basic philosophy of Hinduism, which states that all souls are a part of the Supreme Soul. This concept is same as the concept of Atman being a part of Paramatman. Souls are influenced by matter in physical form – This teaching states that souls are influenced by matter when they are in physical form. This is attributed to the ‘tatastha’ nature of the soul. Souls are not influenced by matter in liberated state – Once again attributed to the ‘tatastha’ nature of the soul, this teaching states that souls are free from the influence of matter when they are not in physical form. The Atman is different and identical to the Paramatman – This states that the souls and the material world are different yet identical to the Lord or the Supreme Being. According to Chaitanya Mahaprabhu’s teachings, the Supreme Being is Lord Krishna. 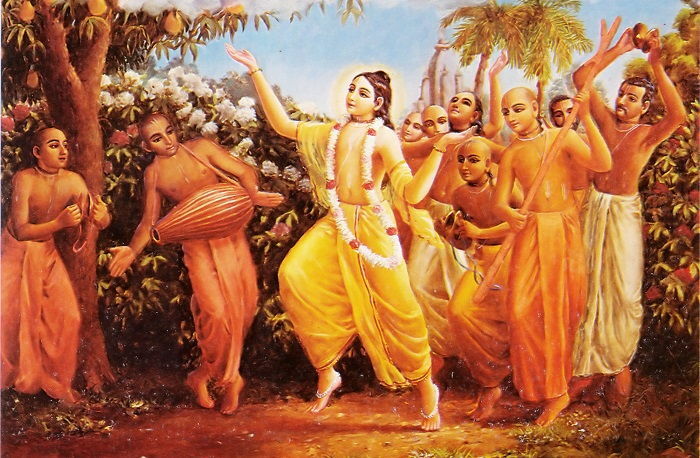 Atman practices pure devotion – Chaitanya Mahaprabhu advocated Bhakti yoga and taught that pure devotion is one of the ways to attain liberation. According to Gaudiya Vaishnavism, liberation is the unification of Atman into Paramatman. Attaining Krishna’s love is the ultimate goal – This teaches how one can realize the true love of Lord Krishna through various means of yoga, especially Bhakti yoga, which involves the chanting of the Lord’s name. Lord Krishna is the only blessing to be received – The tenth and the final point in Chaitanya Mahaprabhu’s teachings indicate that everyone should strive towards realizing the ultimate truth, which is acceptance of the fact that Krishna is the only blessing to be received. 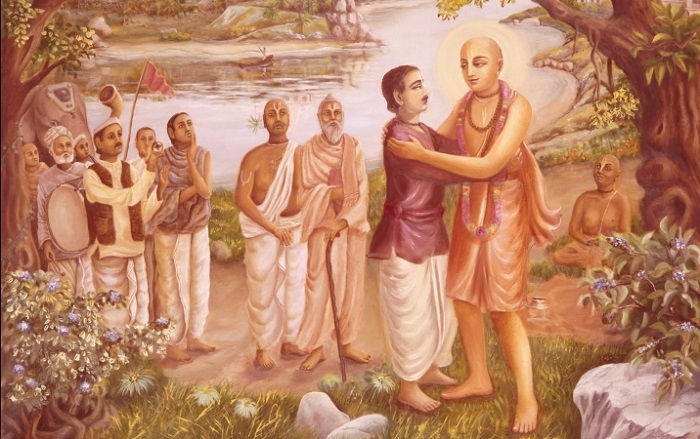 Though initiated into the Madhvacharya tradition, Chaitanya Mahaprabhu’s philosophy is considered slightly different from that of other followers and teachers of Madhvacharya tradition. According to historians and scholars, Chaitanya Mahaprabhu did not pen down any written text. 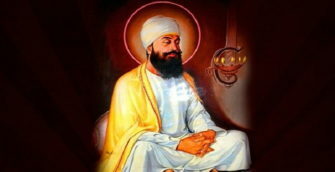 However, his words were recorded by one of his followers, which came to be known as ‘Siksastaka’ (eight verses). These eight verses are believed to house the philosophy of Gaudiya Vaishnavism. Though Chaitanya Mahaprabhu did not write down his teachings and philosophy, he did request a few of his followers (Six Gosvamis of Vrindavan) to systematically present his teachings in their own writings. Though the followers of Chaitanya Mahaprabhu claim that he did not die as he was an incarnation of Lord Krishna, many theories suggest that Chaitanya Mahaprabhu could’ve been murdered for various reasons. However, this is a controversial theory and is not supported by all. Another mysterious theory suggests that Chaitanya Mahaprabhu disappeared magically, while another account states that he died at Tota Gopinath temple in Puri, Odisha. However, scholars and historians say that there are enough evidences to state that Chaitanya Mahaprabhu suffered from epilepsy. Various texts state that he would lose his consciousness at regular intervals due to the disease. 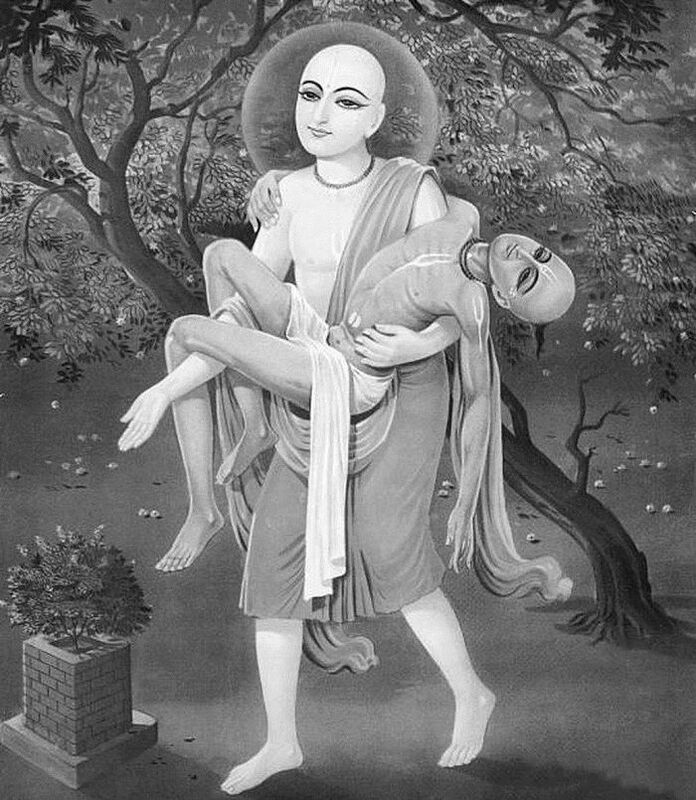 Historians also suggest that Chaitanya Mahaprabhu suffered from seizures and that epilepsy might have caused his death on June 14, 1534.